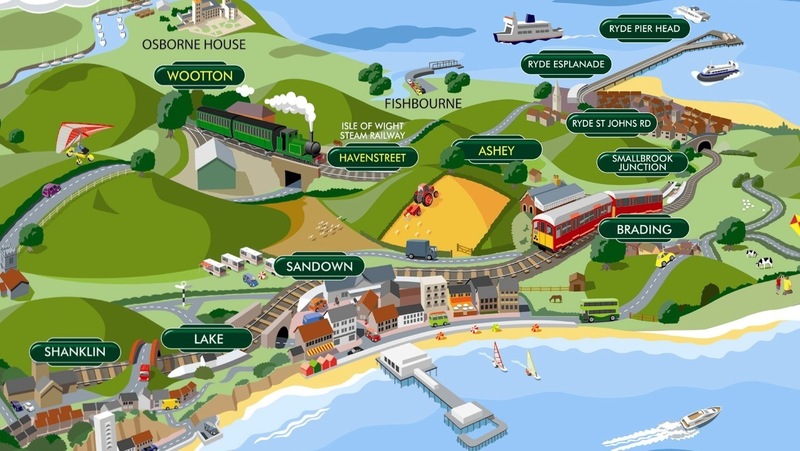 The Isle of Wight actually has two railways: the Island Line with its quaint 1930s electric trains, and the Isle of Wight Steam Railway, with quaint 1900s steam trains. Check out the map to the right, which looks like something from the Island of Sodor, but does in fact come from the South West Trains web site. 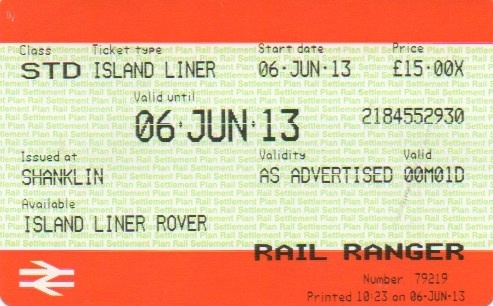 My aim was to visit every station on the line, steam and electric. Taking into account that Ryde Pier Head and Shanklin were ticked off the previous day, that left me nine stations to “do”. I thought that this would be easily achievable in one day. The Island Line is less than 30 minutes end to end, and for most of the day has two trains per hour (albeit at slightly awkward 20/40 minute intervals). The steam trains run less frequently, but with only four stations on this section to capture, I didn’t consider that a major obstacle. Even so, I decided to get to the steam section first, to get it out of the way. On Thursday morning, I strolled to Shanklin station in glorious sunshine. The cloudless sky and warm temperatures would persist all day (I later discovered that the Isle of Wight had been the warmest place in the whole UK that day, with temperatures peaking just shy of 25 C). I don’t fully appreciate bright sunshine, thanks to my fair-skinned complexion. I don’t go nicely tanned like most people, instead simply skipping straight to the overcooked lobster phase. I ventured out in shorts and T-shirt, but also applied some factor 200 (I think) sunscreen. Well, it was either that or a beekeeper’s outfit. The clerk gave me a weary look. I suspect he speaks to this man quite a lot.